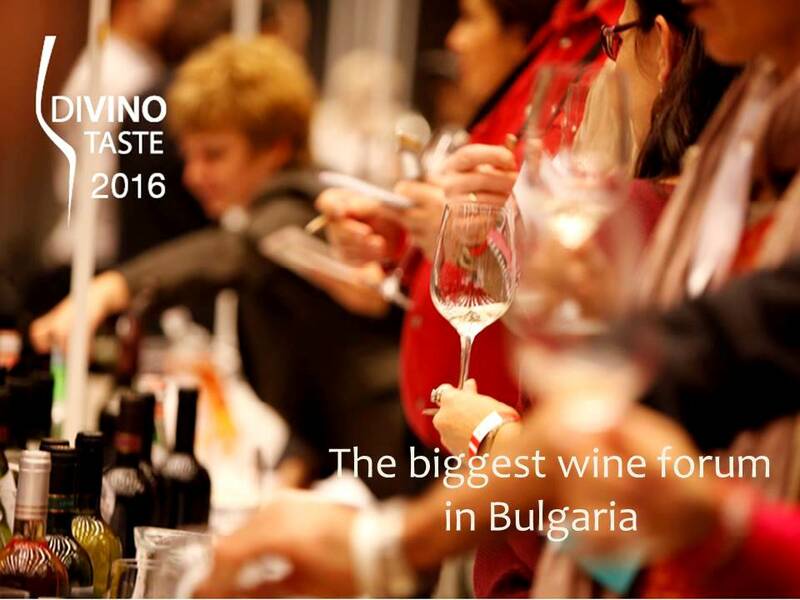 DiVino.Taste 2016, the biggest wine forum in Bulgaria, is taking place this weekend in Sofia. From 18 to 20 November 2016 all wine lovers, professionals and wine producers will meet at Hall 3 of the National Palace of Culture in Sofia. In 3 days during DiVino.Taste 2016 we will have the chance to taste more than 500 Bulgarian wines from 73 wineries. All of the participants can take part with no more than seven wines, presented by the winery owners or the wine producers themselves. If you have the chance take part in some of the master classes and lectures too. Visitors who have bought a ticket for one of the master classes or lectures automatically get a free access to the three-day fair. Ask questions, learn, meet new people and old friends. Enjoy the networking and buy your favorite wine to take the wine spirit to your home. Next three days my hashtag is #DiVinoTaste. See you there. Cheers! Follow me on Facebook and Instagram for more photos, videos and news during the wine forum. If you are interested in wine tours in Bulgaria, check out my visit to Villa Yustina winery.